I have the delicate task of sharing diagnoses with families. The privilege of evaluating a child’s strengths and utilizing them to plan treatment and overcome difficulties is one I hold in high regard. As a clinician I see these strengths and weaknesses as a roadmap to treatment. The first question I receive after sharing a diagnosis is “Where on the Spectrum is s/he?” Most people view the Autism Spectrum, and other spectrum such as ADD, as a line. What a parent usually wants to know is “What does this mean now and for my child’s future? How much support will they need? What about school? College? Marriage?” As a mother of a child with ASD, I have also been on the family side of diagnosis, so I have the ability to put myself in a parent’s viewpoint. 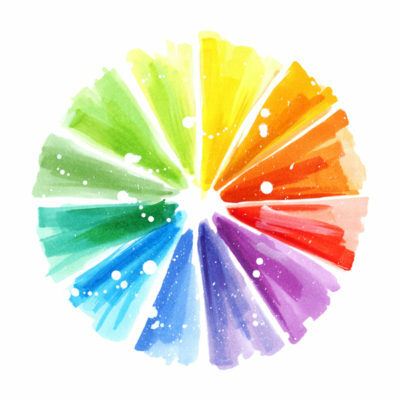 In an attempt to answer all these questions, I would find myself sketching out a segmented color wheel to describe that the Spectrum of functioning is not just one linear concept, whether Autism, ADD or Learning Disorders. Each of these diagnoses have a variety of possible symptom clusters, and to answer that question fully, one needs to look at each category and describe where the child is in each one. After scribbling down color wheels and wagon spokes many times when meeting with parents, I decided that there had to be a better way. Being a neuroscientist, I knew it was equally important to have a clear visual of the symptom clusters, and for each visual to represent the child’s functioning in a meaningful way, and this means using standardized testing that delivers objective results. Creating a visual representation of where each child is on the “spectrum” really showcases the strengths each child has to overcome their weaknesses. It allows the treatment team to not only plan interventions in the areas most needed, but also to pull from the strengths each child has. For families, it is reassuring to see a complete picture of their child instead of just hearing lists of scores.As the child enters treatment, the ability to compare baseline scores and see growth in a standardized fashion is incredibly beneficial – both for the family and the treatment teams. Knowing which interventions are creating the most efficient change allows dynamic, effective treatment and leads to the support a child needs to push past their potential boundaries and keep reaching further. And so we created Spectrum Profile. A visualization of the various spectrum based on standardized testing that can be shared with families, practitioners, schools, and insurance companies to give basis for what a child’s needs are and light the path for effective treatment and ultimate outcomes.